Want a book that challenges how you see faith? 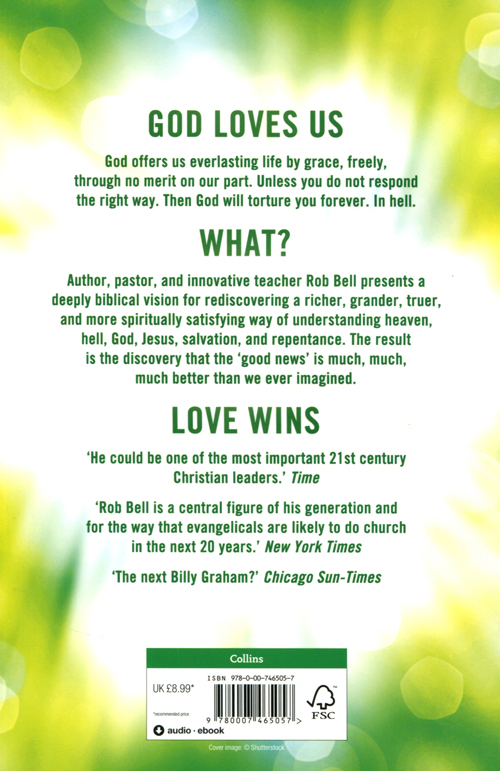 Now in paperback, Rob Bell's Sunday Times Bestselling Love Wins is the world's most talked-about modern Christian book. Creating controversy and discussion, Love Wins gets to the heart of questions about life and death. Its perspective will surprise and challenge both Christians and atheists, and will inspire people of all faiths and none. Millions of Christians have struggled with how to reconcile God's love and God's judgement: Has God created billions of people over thousands of years only to select a few to go to heaven and everyone else to suffer forever in hell? Is this acceptable to God? How is this "good news"? Troubling questions--so troubling that many have lost their faith because of them. Others only whisper the questions to themselves, fearing or being taught that they might lose their faith and their church if they ask them out loud. But what if these questions trouble us for good reason? What if the story of heaven and hell we have been taught is not, in fact, what the Bible teaches? What if what Jesus meant by heaven, hell, and salvation are very different from how we have come to understand them? What if it is God who wants us to face these questions? Love Wins by Rob Bell was published by HarperCollins in March 2012 and is our 8431st best seller. 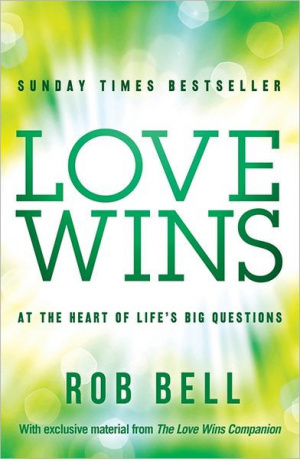 The ISBN for Love Wins is 9780007465057. Be the first to review Love Wins! Take a peek at some articles related to Love Wins. Got a question? No problem! Just click here to ask us about Love Wins.